Over 12,000 users, more than 100 locations. More than five news daily.  Transition from on-premises solution to cloud solution. Can this kind of intranet project be executed without emails? Yes, it really can be! Valmet, the customer, wanted to transition from an on-premise intranet solution to a cloud environment. Moreover, Valmet wanted to provide the end-users with a modern and mobile-friendly solution that would clarify the digital working environment and tool management. Valmet chose Valo Intranet to be included in their online strategy. The contents were migrated from their old on-premises environment to the cloud using Sharegate. The project also involved the use of Microsoft Teams in project communications. Valo Intranet enabled Valmet to reduce the resource requirements for their intranet while also lightening their operational infrastructure. Also, the ongoing updates and the product development in Valo Intranet ensure that the product keeps up to date. Watch the video of the Valo delivery project and the feelings of happy intranet team. With 12,000 professionals around the world working close to their customers and committed to moving their customers’ performance forward – every day. The digital tools are of utmost importance to support both international and local needs in a mobile friendly manner. The corporation had taken the first steps towards their online services already a few years back. “The target was to move towards a more cost-effective solution and utilize cloud solutions which were more suitable for us. Maintaining a pricey on-premise Intranet required vast resources for the platform, implementation upkeep and software design”, says Valmet’s Service Manager Sami Frisk. The time had come for the intranet at Valmet to move to the cloud, and a packaged solution seemed best. “We were firmly looking for a ready-to-go solution which would fit our needs. A ready product, with pre-prepared features and minimal customization, must therefore be cheaper in implementation and upkeep.  A good benchmark for ready-to-go Intranets was at the European SharePoint Conference where Valo Intranet received the Intranet Award”, Sami continues. Mobile accessibility was one of the main deciding factors while screening products. Cost effectiveness was one thing but another notable priority for us was to make the Intranet reachable for mobile users. Employees need to sign into our intranet with mobile devices during work trips and while commuting. “We initially considered many packaged intranet options. From our perspective Valo Intranet was the most complete and well-planned product. It responded to our kind of global organization’s demanding needs. Valo Intranet bundles together everything we need. Our goal was to enhance social interaction and to utilize more video. Furthermore, we had hoped to maintain our intranets main strength which was its strong communications and the active news section. With little modification Valo Intranet fit these needs”, continues Kimmo. The intranet project started with a proof-of-concept phase where Valmet piloted Valo Intranet. The pilots purpose was to give the customer an impression of Valo Intranet’s look and feel. The core users got a chance to familiarize themselves with the product and share their experiences. In the pilot, content migration from the on-premises system to the cloud was also tested. As a result of the successful POC, the Valo Intranet project was launched in February. Only a few customizations for the product were required. The layout was modified to fit Valmet expectations and a news lift-up was added to the front page, which differs from Valo Intranet’s template. A feature to target the news regarding the end users’ location was also added. The new intranet is centered on a digital working environment. “We use many O365 tools, which were not easily found together before. Along with Valo, our intranet became part of the O365 world and now users can perceive the entire infrastructure better”, says Kimmo. With Valmet’s publishing procedure, everyone has permission to publish on their Intranet following a set of rules. “We have over five news articles each day, and publishing them is easy as the Intranet is accessible through mobile devices. This has made our working culture more flexible. In the end the most important goal is to build a common Valmet together”, Kimmo continues. Can you reach the finishing line, in such a large project, without long conversations through email? Yes, you can! “We beat the scheduled time and the budget in this project. This was mainly because of solid communication, a committed team and agile methods. A lot of effort was invested in project planning also”, describes Kimmo. Valo Intranet’s partner in Finland, Blue Meteorite, worked closely together with the customer Valmet in joint teams to create an agile working environment. Thanks to daily communications, using Microsoft Teams, all members were informed and fully utilized. “The project presented a great opportunity to pilot Microsoft Teams. Through it, communication and file transfer went exceptionally. After a successful project run, the interest in Microsoft Teams has grown inhouse, “says Sami. The project was finalized perfectly and no team members suffered any traumatic experiences. “I’m extremely happy, we had a fantastic collection of people. And I’m delighted the teams worked so well together. One sign of successful project was that while we celebrated the end of the project having dinner together the conversations were no longer about work”, Kimmo laughs. Would you like to know more about Valo Intranet? Book your free demo now.